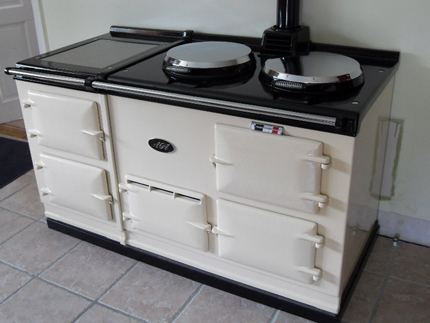 Many owners certain models of AGA cookers often turn off their cookers during hotter months of the year. This could be a perfect time for servicing, and deep cleaning your AGA. Our preferred way to clean an AGA cooker is with its power off. During hotter months is the perfect time to turn your AGA off, for both crucial maintenance, servicing, and deep cleaning. Having your AGA serviced, as well as having it professionally cleaned at least once annually will assure your AGA cooker runs nice and efficiently. As well as look fantastic, just like it should. Just like cleaning a big range oven, an AGA can be a strenuous job to say the least, for most people. Chances are even after all your efforts you are still likely disappointed with the your end result. Not to mention all the mess you have made too! Get your AGA, Range, of any other oven cleaned by Expert Oven Cleaning and have no stress, effort or disappointment in the end. Why not browse the rest of our website and find out more about our service? Be sure to take a look at some of our customer reviews, our before and after pictures, or just contact us.